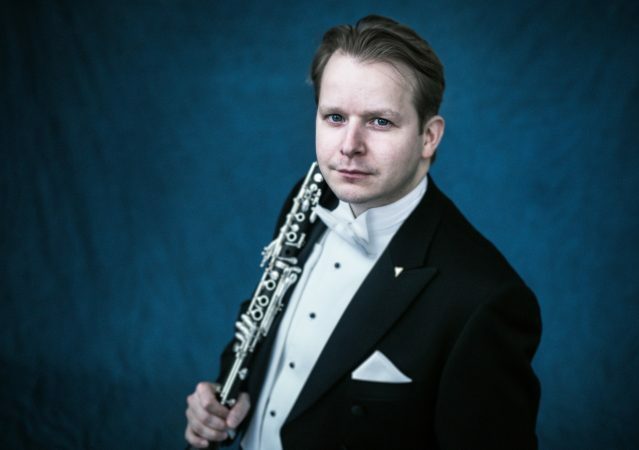 Christian Stene is the Principal clarinetist of the Bergen Philharmonic Orchestra. He previously held the same position with the Norwegian National Opera Orchestra. He is also Assistant Professor at the Grieg Academy of Music in Bergen, a Buffet Crampon and Vandoren artist, and the National Chairperson (Norway) for the International Clarinet Association (ICA). A native of Bergen, Christian began playing the clarinet at age eleven. After preliminary studies at the Grieg Academy of Music, he was accepted into the Conservatorium van Amsterdam to study with former Principal Clarinetist of the Royal Concertgebouw Orchestra, George Pieterson. Christian then entered the Royal Danish Academy of Music where he completed his Orchestral Diploma studies with Lee Morgan, Principal Clarinetist of the Royal Danish Orchestra, in one year. He was further accepted into the Soloist class at the Royal Danish Academy of Music as well as the Concert class at the Musik-Akademie der Stadt Basel with François Benda. Christian made his Debut in Copenhagen in 2007 with the highest mark obtainable. In the 2009/10 season, Christian took a sabbatical to study with Yehuda Gilad at the University of Southern California in Los Angeles. In 1998 Christian won the Norwegian Soloist Championships that started a long line of solo appearances. He has been soloist with the Bergen Philharmonic Orchestra, Norwegian National Opera Orchestra, Aarhus Symphony Orchestra, ARCO Chamber Orchestra, Royal Danish Academy of Music Orchestra, and the Nordic Youth Orchestra. In February 2015 Christian will premiere a commission of a Concerto for Clarinet and Strings by Therese Ulvo with the Bergen Philharmonic Orchestra. Christian regularly appears as guest principal in various Scandinavian, European and Asian orchestras. He is also an active chamber musician whose interest in historical performance practice includes performing on period instruments. In addition to his class at the Grieg Academy of Music Christian regularly gives masterclasses in Norway and abroad. Christian can be heard on recordings playing chamber music with the Danish Chamber Players (Classico) and in orchestra with the Norwegian National Opera Orchestra (Naïve) and Bergen Philharmonic Orchestra (Chandos, BIS, Hyperion and Aurora).